This is the second post in my "Installing E-Business Suite" series, where we actually install the software. Hopefully by now you've read part 1, downloaded the software, and configured your Linux server. Thanks again to Chet for the opportunity to share on his blog; I'm enjoying this guest spot on ORACLENERD Inc's New Media Empire (2.0!). And now, welcome to screenshot village; we hope you enjoy your stay. 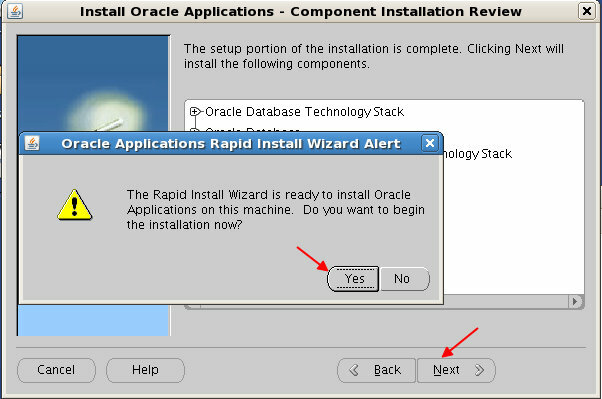 The Oracle Applications Rapid Install Wizard, more commonly called RapidWiz, drives the EBS installation process. 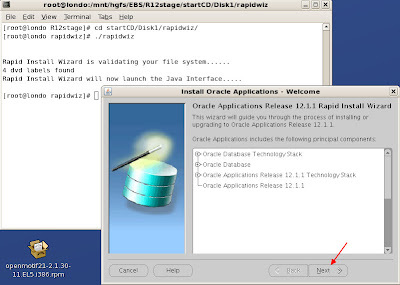 If you're accustomed to using the Oracle Universal Installer, you'll find that RapidWiz "feels" a bit different, but it still has that comforting grey, "Hi, I'm a Java-based Oracle software installer!" look to it. 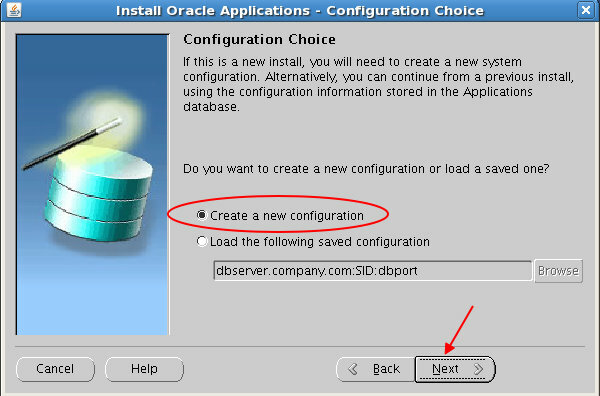 Since this is a new install, select the first option ("Create a new configuration") in the Configuration Options window and click Next. 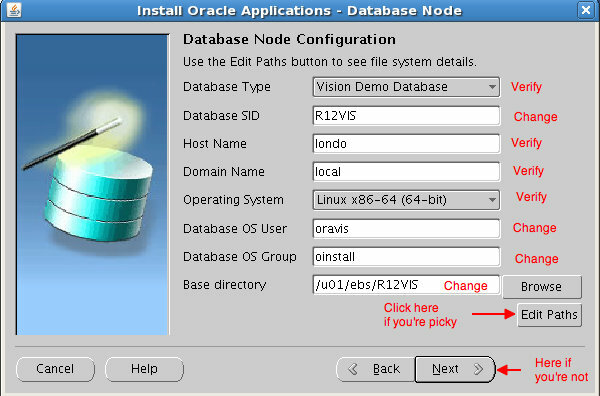 Database type is "Vision Demo Database"
Hostname and domain name match the host and domain names on your Linux server. If you've configured this correctly in /etc/hosts and /etc/sysconfig/network, RapidWiz should pull the correct values. Database SID: You can leave this at the default (VIS), or change it if you prefer. Note: If your specified base directory doesn't exist, you'll need to create it. Um, whoops. Actually, I intentionally skipped that step just so you could get an example of what error conditions you might encounter during configuration. That's me, taking one for the team. It's just the sort of guy I am. Click OK once you've created the base directory, make sure the installer has retained your other configuration settings, and click Next. 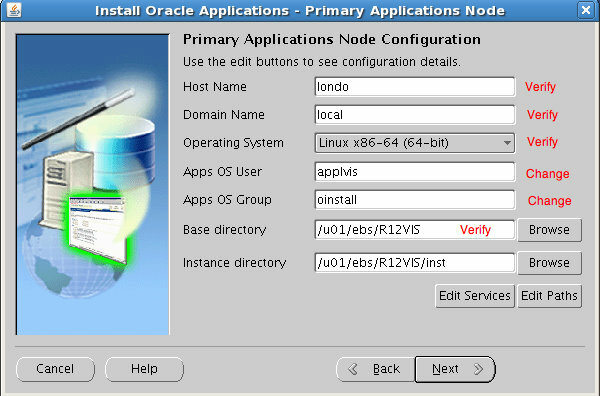 The next window, "Primary Applications Node Configuration," takes most of its values from the database node configuration. 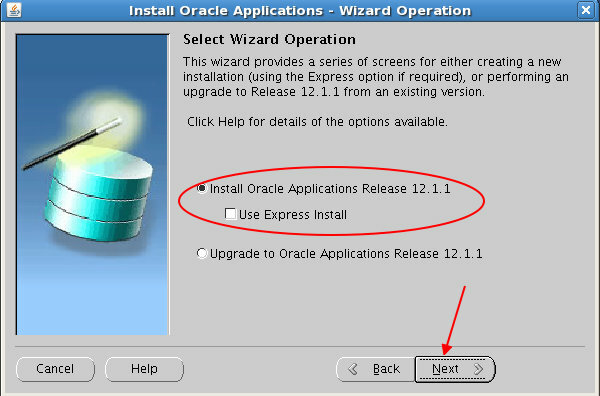 You'll need to change the values of Apps OS user and Apps OS group to match the ones created in part 1 of this series. Everything else should be fine; you'll just need to verify. 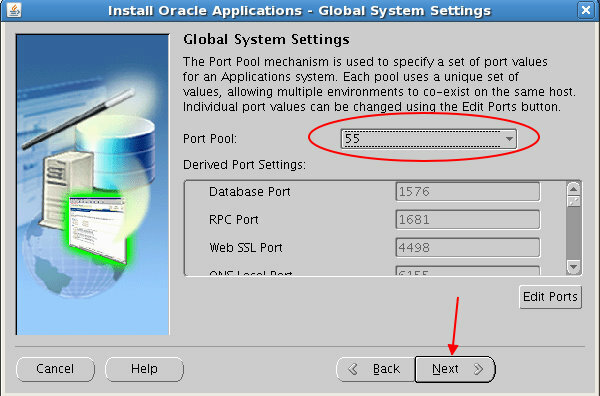 Again, if you want to tinker with specific locations in the installation, you can click the Edit Paths button, but that's beyond the scope of these instructions. Oh yeah, and click Next when you're done. RapidWiz will pop up a window showing the system checks it is performing prior to installation. Basically, it's making sure that the necessary ports are open for the applications and database to run, that there's enough disk space to install, that it can write to all its directories, etc. 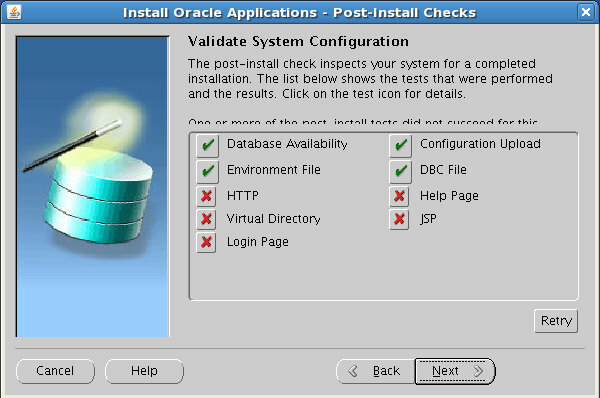 After the checks are done, a Pre-Install Checks results window will appear. Hopefully you'll see all green checkmarks, as below. If you see red X's next to any of the test categories, click on the X to see a log from the test run, find and fix the errors, and click the Retry button to re-run the tests. Once all tests have been run successfully, click Next. Click Next at the Install Review window, then Yes in the inevitable "are you sure you want to install?" box, and you're off to the races! Or maybe off to run some errands while blue bars crawl across the installer windows for a few hours, whichever. You'll notice that the terminal window from which you launched RapidWiz will display some information about where it's writing out log files. Hopefully we won't need those, because the installation will just go swimmingly, right? After a while (probably a few hours, depending on how speedy your server is) the installation will complete, and post-install checks will begin. If some of the post-install checks are listed as failed initially, don't be too worried. The initial startup of E-Business Suite can pretty resource-intensive, and it's not unusual for some of the post-install checks to time out waiting for responses from web pages, or for application server components themselves to time out when starting up. Keep in mind that you're installing software intended to run on server-class hardware, and your server might be under spec somewhere (disk speed, CPU, memory). Here's what my post-install checks looked like the first time around. Ouch. 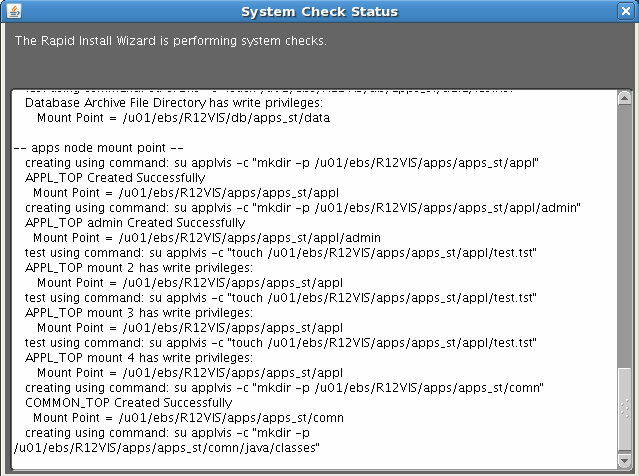 As with the pre-install checks, you can click on the icons to see more about the failed checks. I'll spare you all 5 screenshots, but in this case, all the messages have the same theme: HTTP server taking too long to respond. The first thing I did was to log in as the owner of the Oracle Applications software, applvis in this case. Then, I set up the OS environment to be able to better navigate the various sections of the Apps filesystem. You'll often hear this called "sourcing the Apps environment." This confirms that the web server is the only component that's currently failing, and the other app server components of the system are starting as expected. 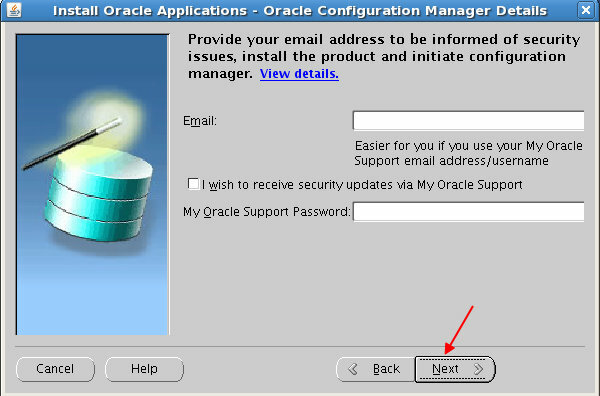 If you want to start looking around a little bit, the "superuser" for Oracle Applications is SYSADMIN, and the default password for the account is the same as the username. 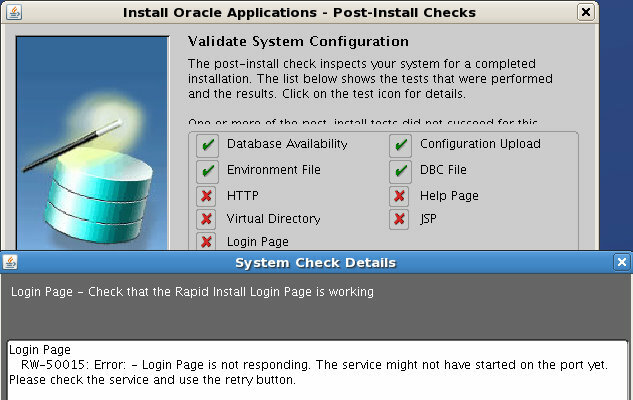 If you attempt to launch any of the Oracle Forms-based parts of the Apps interface from a browser on your Linux server, you may run into trouble. The EBS Forms interface is famously finicky on Linux-based browsers; I usually access EBS from browser on a Windows or OS X desktop, rather than from Linux, but the OTN forums are full of tips on how to get EBS Forms working on Linux. I'll try to dig up some links for the next post, or you can chime in with comments if you've already been down that road. Thanks for following along! I hope that your installation experience is even more painless than this one. In part 3, I'll cover a few basic topics following the theme, "great, it's installed, now what do I do?" 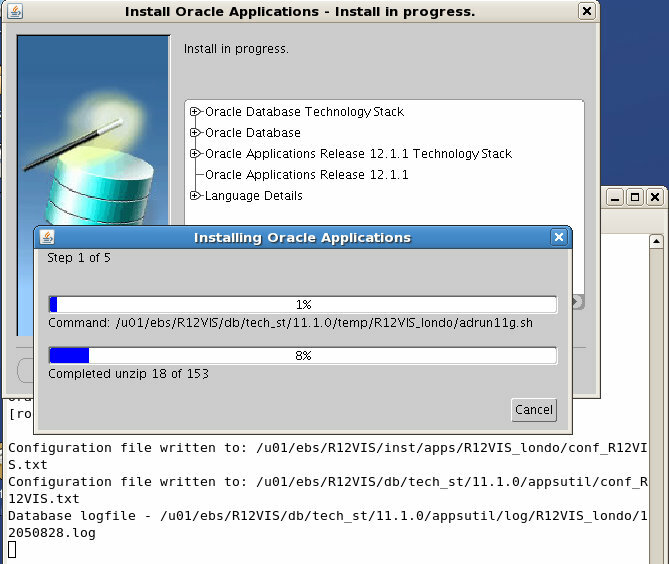 Oracle Applications Installation Guide: Using Rapid Install - The manual so nice, I've linked it twice! Oracle Applications Maintenance Procedures - Reading ahead for the next post in the series. Also covers some of the utilities I used above in Step 12. 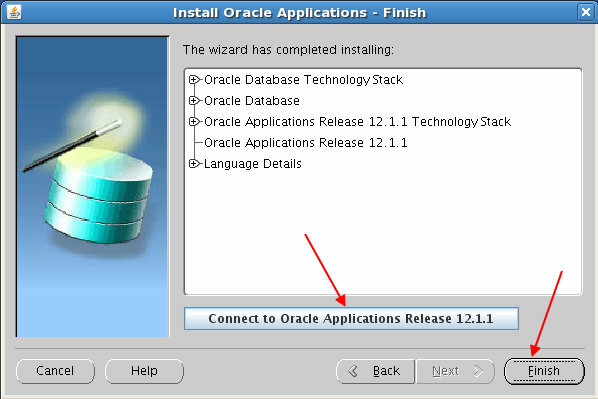 Oracle Applications Maintenance Utilities - Reading ahead for the next post. Also offers an explanation of the environment files briefly referenced in Step 12. An OTN forum thread that helped me resolve my little web server issue. Two lessons here: 1) OTN forums are immensely valuable, and 2) I should've read the documentation a bit more closely. D'oh. Not EBS-related, but I thought I'd plug my favorite lightweight screenshot annotation app for the Mac: Flysketch. I have tried installiing EBS R12 on OEL 5u4. As usual the post install checks failed and i landed up trying to figure out what is the problem. Since the messages are complaining about hostname lookups, please verify that your /etc/hosts file is configured according to the documented requirements. The notes can be found in Part I of this install series. Can you copy and paste what your /etc/hosts file looks like. My /etc/hosts file looks like what I provided in my comments above on February 15. Thanks for your very helpful post. It's especially good for those of us temporarily without access to My Oracle Support and its release and installation notes. I just wanted to add a couple of links that might save future readers some time. After following your instructions everything went smoothly until I tried logging into the forms, when I received a FRM-92101 error. The post which explained this and gave the solution (installing some rpm packages) was here. 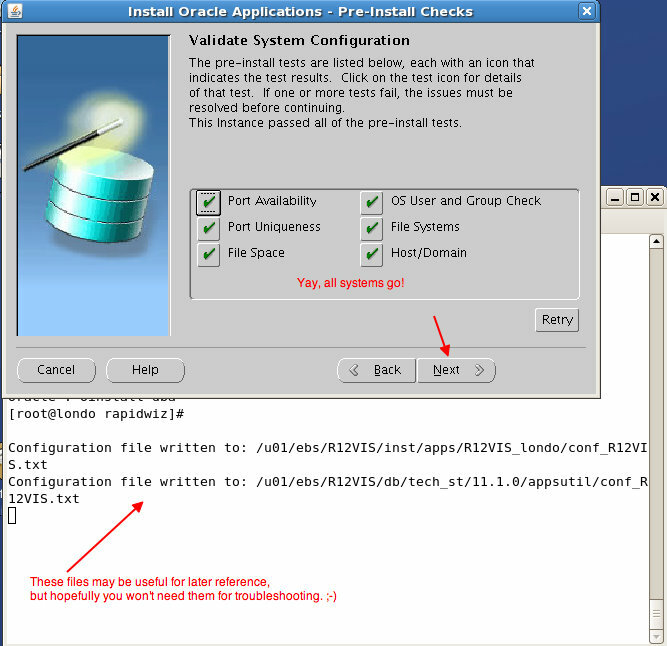 This link was also helpful, as it explained some installation prerequisites, although it was for RHEL rather than OEL. I'm using firefox on windows 7 on the client tier and uninstalled all my java versions and installed the latest one (1.6_20) as I saw some notes that one my javas (1.6_18) may have some issues. I'm not sure if this was a real problem or if the missing rpm packages above was the root cause. Finally I hope it's okay if I mention that I'm an independent contractor based in Calgary but willing to do contracts elsewhere in Canada so if you or other readers know of apps DBA or other Oracle technical contract opportunities I'd be happy to hear about them. Trying to follow this one as closely as possible but encountering HTTP problems it seems. 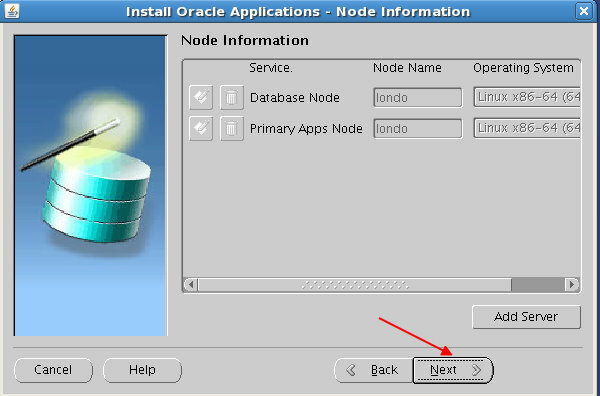 OTN tells me to get patch 6078836 (libd.so.2) for the Oracle HTTP server which is specifically required for Oracle Linux 5/6. Of course I do not have My Oracle Support. So any way around this? There's no mention of this issue in this blog even tho it looks like it should apply. What are implications if I dont patch it? 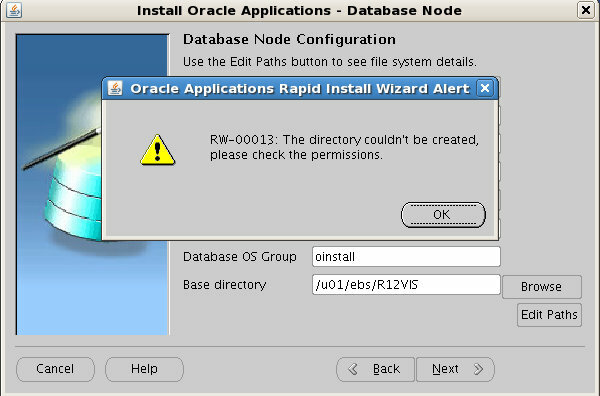 RJ, without OTN account, you'll find it hard to obtain patch 6078836 (libd.so.2) as this would break the oracle terms and conditions. Try googling and see if you can download else where but you'd find it hard to obtain a copy without OTN account.